Well today was the day. My 2-week extensive training regime culminated in my race today. The day began early (a 7:15am alarm on a Sunday should be outlawed). Before I had even got out of bed I was cold, which was not a good omen. It was actually 3 degrees outside, and not the singing group type (another topical reference for the under 40’s there). By the time we had arrived at the race we had already travelled through ice, sun and finally fog. We walked past the lake in Heaton Park to the event village at about 9:00 am and all we could see was, well, nothing. Just a big patch of fog with the sound of water, which we deduced, must be the lake. When we arrived at registration I picked up my number, my fetching headband and my chip thing for my shoe for my timing. I began sussing out the “competition”. I was looking for the slowest person who I thought I might be able to beat. 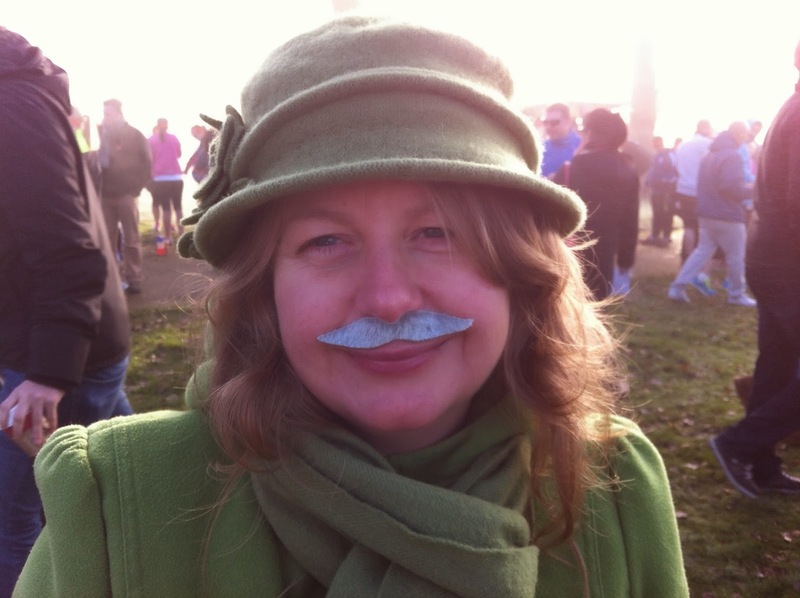 There were a few people in fancy dress, lots of ladies with drawn on moustaches (and a few men as well. Come on. Man up and grow a proper one), but not many people dressed as bananas or such like. In fact most looked a bit too keen. There were a lot of people in running tights with isotonic drinks and watches connected to heart monitors and such like. This could be embarrassing. with the elite athletes. Perhaps some of their eliteness might rub off It didn’t, but it was a nice idea. red faced fat man with the Sargent Major Moustache”. Many of them went on to achieve this. bad enough, but the fact that he was running like a Thunderbird puppet and still beating me was demoralising. Still I slogged on. After the initial excitement of the first kilometre, boredom set in. I didn’t bring my headphones so I was running without a beat, so I began trying to think of things to pass the time and distract me from the fact that my throat was burning and my heart was about to explode out of my chest. I thought I might have a little look around, but that was depressing, as all I could see was another hill in front of me. So I just resorted to eyes down and let’s get through this. over. I was also over taken by Mr & Mrs Zorro and got a stitch (which I have never had during my training). But as yet, no nuns had passed me. 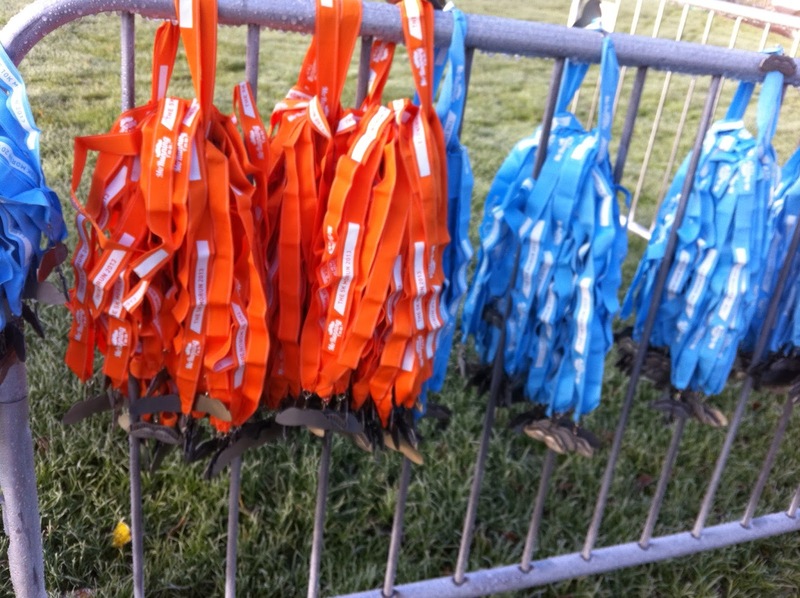 Between the 3 and 4km mark the organisers had introduced a surprise element. A mini ice rink. The sun hadn’t reached this section of pathway and it was still frozen. As I looked ahead (up another hill) I saw runners looking like Bambi on ice in orange headbands. Most of us just abandoned the path and ran on the grass; it was safer. Just past this point my stitch had got worse, so begrudgingly I slowed down to a brisk walk. A minute or so later a bloke ran past me who looked like he spent most of his life propping up a bar somewhere. That was all the incentive I needed. I began running again. Still no nuns. 4km greeted us with another muddy field and suddenly a beautiful archway (Manchester people who know Heaton Park will know what I am talking about). In fact it was so nice, Mr & Mrs Zorro had stopped and were taking a picture of themselves under it. They obviously weren’t going for a personal best on this race. As we got to the bottom of the hill (although I am still convinced that we went up more hills than we came down) we were back at the lake. At this point my stitch really kicked in again and I slowed down. 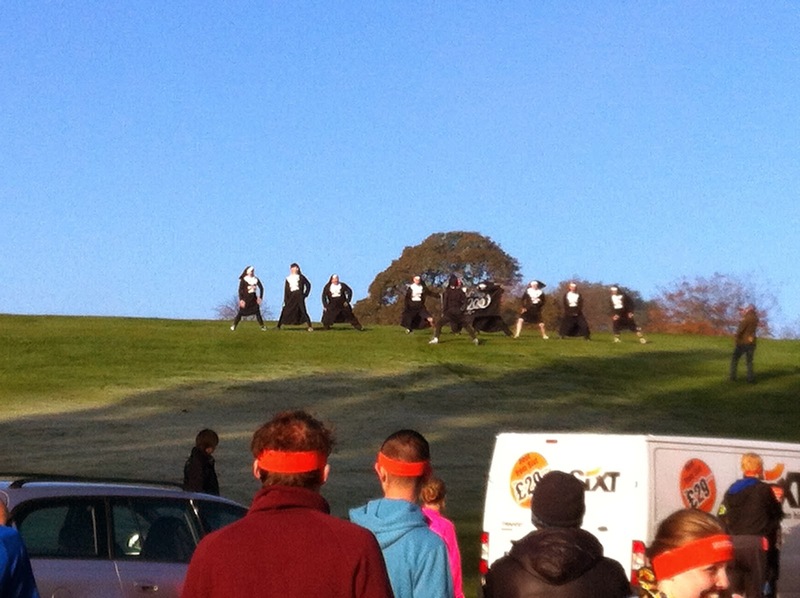 Suddenly I was overtaken by Mr & Mrs Zorro….and a nun! Yes, the sisters of mercy had caught up with me with only half a kilometre to go. The race was on! One shot away from me, so I set my sights on at least catching the Zorros (or are 2 Zorros called Zorri?). Just then another nun appeared. At this point the biggest motivating factor in my life came into play. 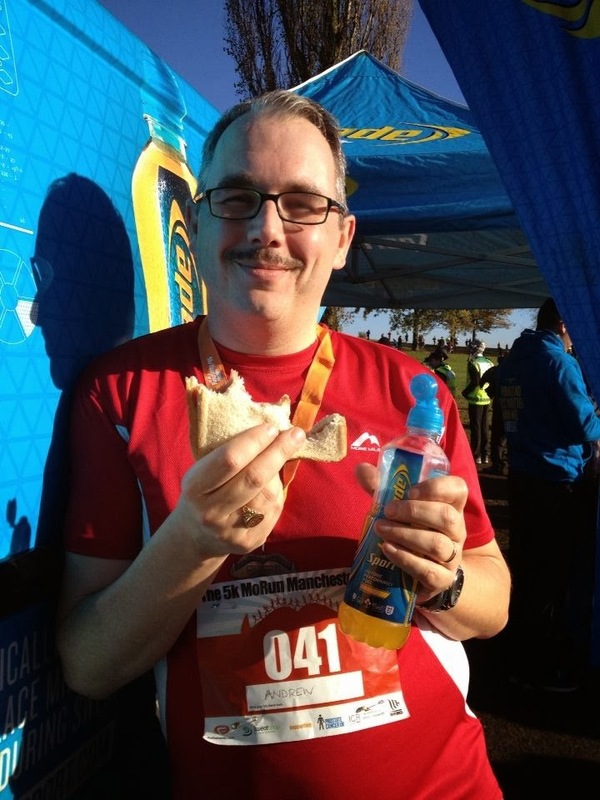 Was raising awareness of testicular cancer the thing that kept me going? Nope. 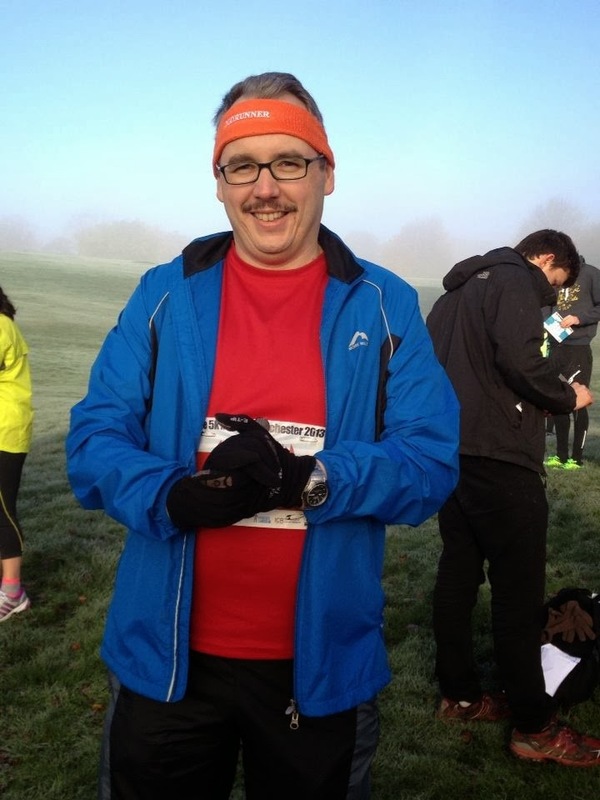 Was it raising money for research into prostate cancer that kept my little fat legs moving? Nah. It was the possibility that I could finish this race “second to nun” (See the Barcelona blog 5 Go Up A Hill In Barcelona to see the significance of this). So with a new incentive in my life I tailed that nun for the last 400 meters all the way to the finish line. (Interestingly enough if I had looked behind me I would have seen that I was also being followed by another nun. A sort of nun sandwich. Forget I said that, that image is slightly disturbing). I had done it. 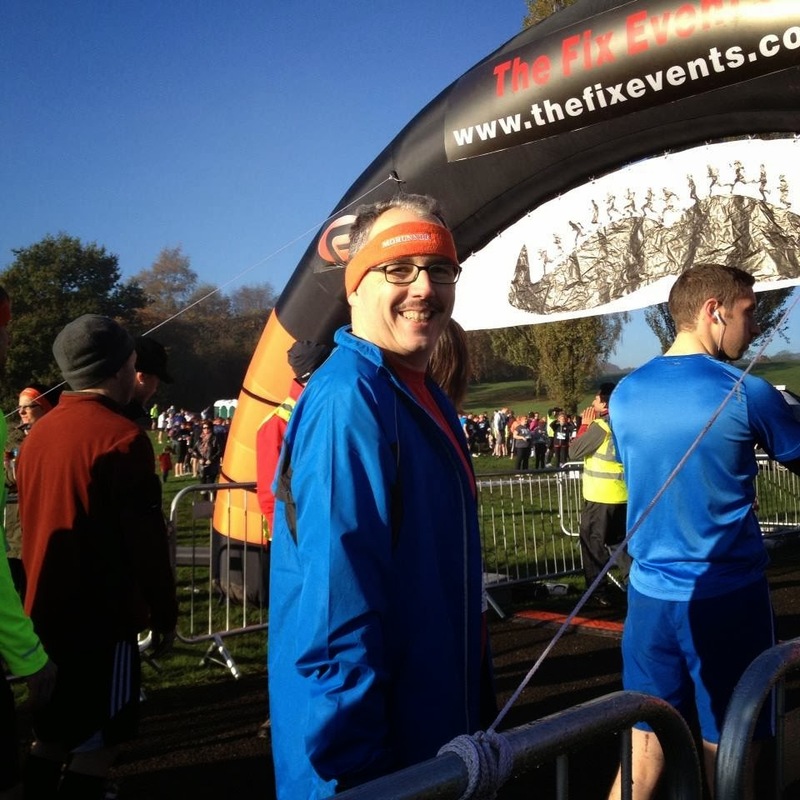 My time wasn’t brilliant (but the course was quite hilly, did I mention that? ); but I was happy enough. 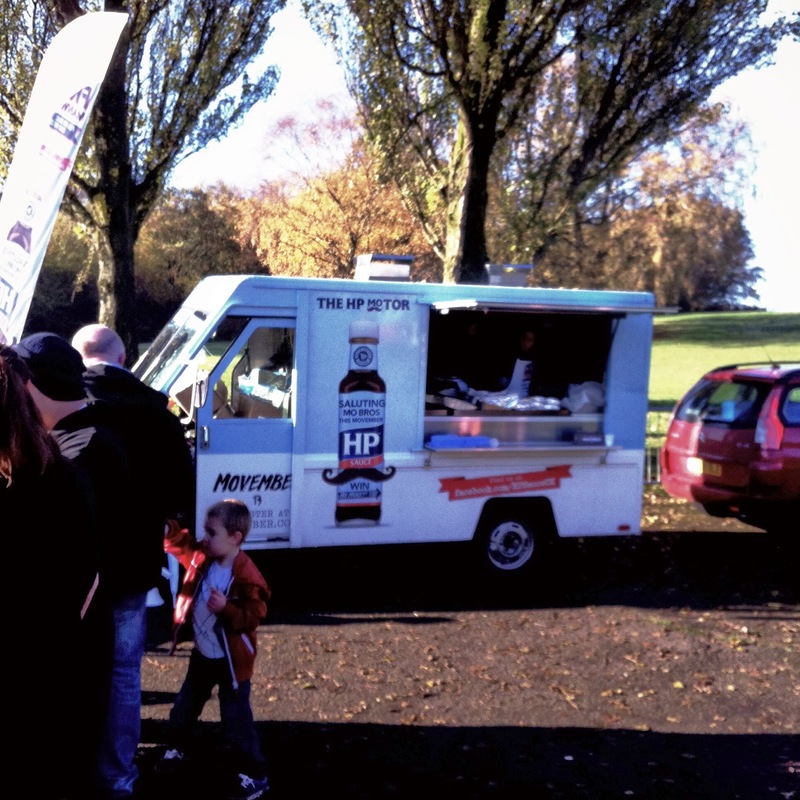 I had my free butty and Lucozade and few minutes later the first of the 10K runners came in. We traipsed through the mud back to the car exhausted, but happy. The most important thing though was raising money. 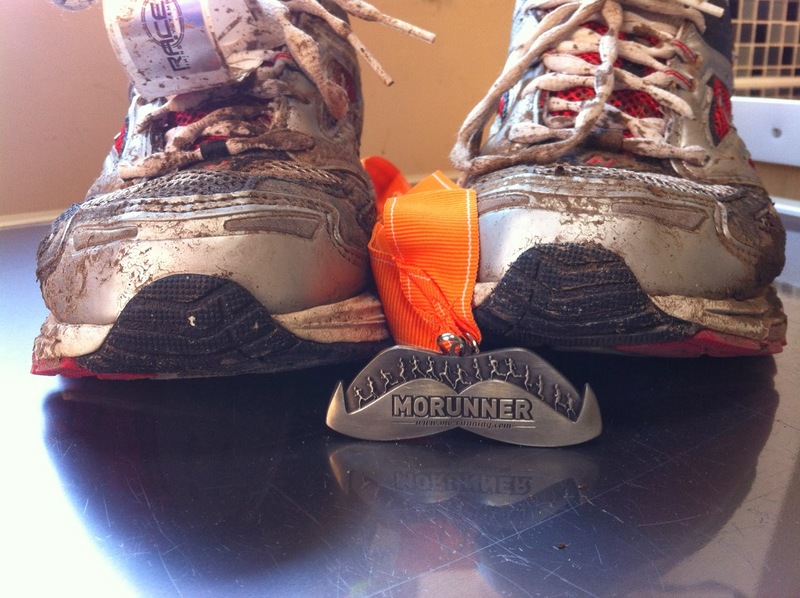 If you have sponsored me, thank you. If not, then you can head over to mobro.co/andrewfenner . So will I do it again next year? Probably, but I may put in a bit more than 2 weeks’ training! I'm a middle aged man that pops around the place on budget airlines with more sense of adventure than common sense.